Making customer engagement relevant for your venue AND your customers. 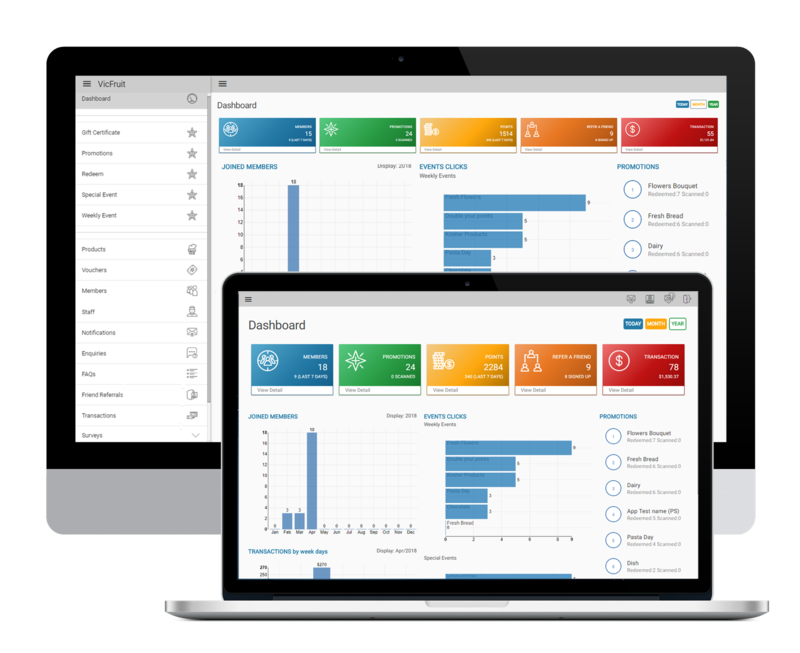 A single dynamic customer engagement app that will build more than just customer loyalty. It will become your key communication channel. In today’s competitive hospitality sector creating and rewarding loyalty is the new marketing. It isn’t just about a venue pushing information to your customers. It’s now a two way street where customers and venues learn from each other. Customers now gather their own information and want the ability to customise what they receive. 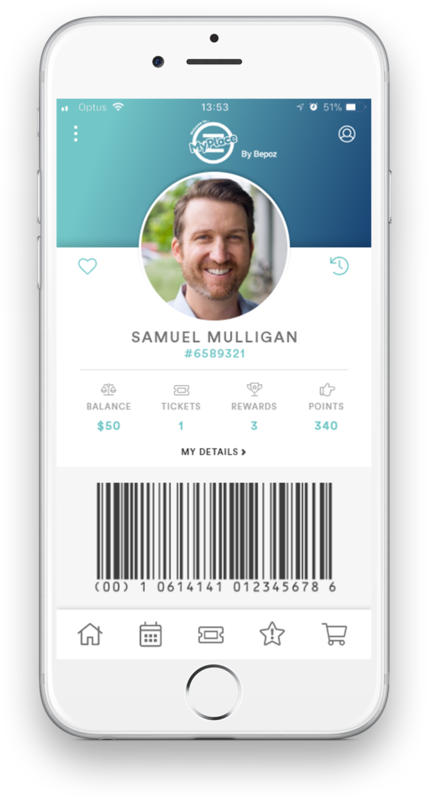 With Bepoz POS and MyPlace loyalty app you’ll have the ability to create a loyalty program that rewards through the accumulation of points. 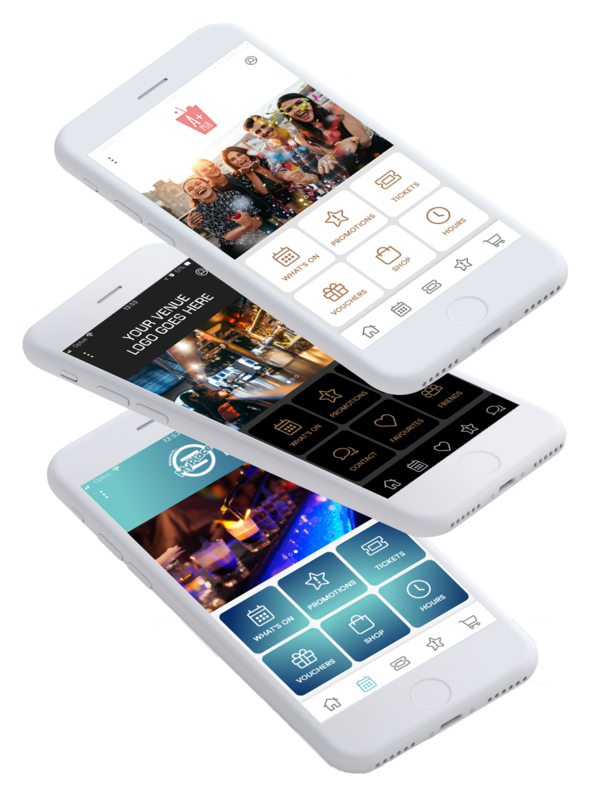 That are all then redeemable for promotions, events and much more within your venue, and all managed by your customers through MyPlace. 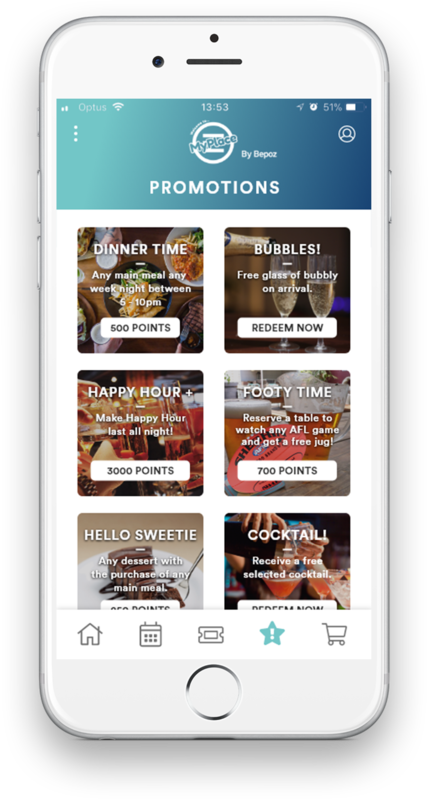 MyPlace loyalty app is fully integrated with Bepoz POS and provides an incredible opportunity for venues to take the next step in customer engagement. All the awesome regular and special events happening in your venue are advertised right here. Promotions, the only place to market and advertise all your food and beverage or merchandise. 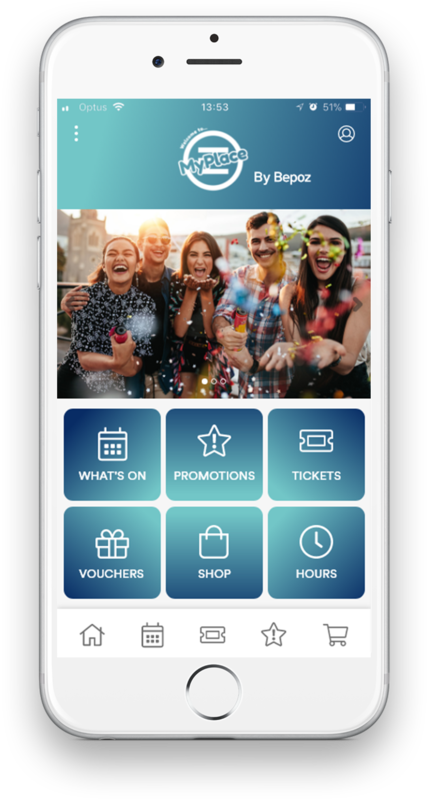 Members can pre-purchase promotional vouchers and tickets with rewards points for all their favourite events all through the MyPlace app. Personal details, Points accumulated, Points redeemed, Rewards, Tickets and Vouchers, Transaction history and Digital loyalty card. How about a quick, easy and thoughtful e-gift simply issued and managed through MyPlace. 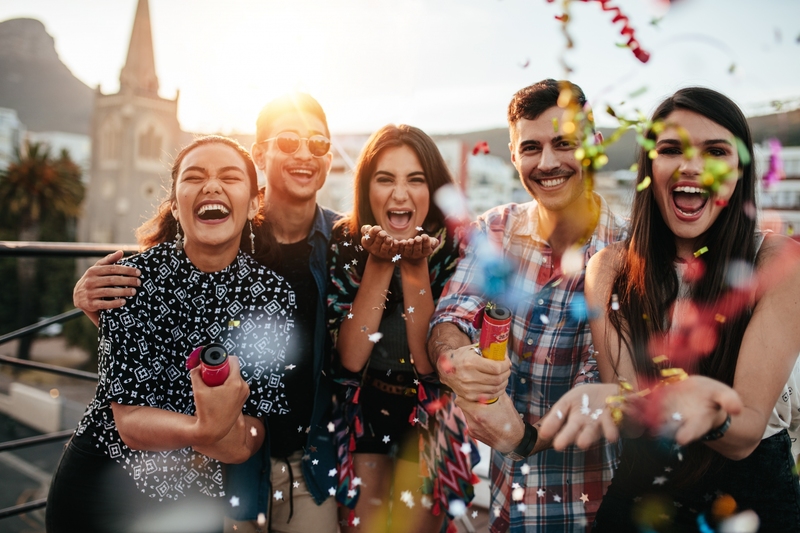 Create simple survey’s to find out what your customers really want to love and enjoy at your venue. Direct customer access to inform on all your upcoming promotions, events and exclusive offers. Reward your customers for their influence when they convert their friends into members of your venue. Awesome customer features with a management Platform that’s simple to customise. Dashboard showing key activity like new members, scanned promotions, referred friend numbers, points redeemed and total transactions. Google Analytics integration also available. Bepoz POS is tightly integrated with with MyPlace. 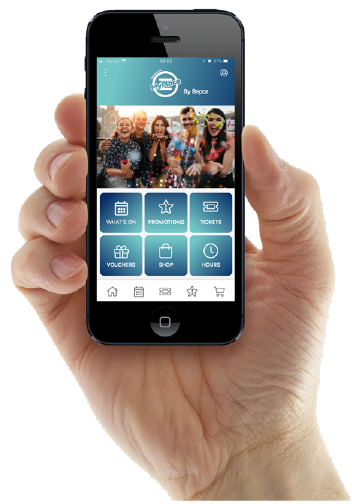 Data is synced live between MyPlace app and Bepoz so points balance, profile details, tickets, vouchers and member details are always up-to-date. Three UI themes with varying colour palettes to suit your venues branding. All logos, home page images and sliders, access buttons and menu options to suit your venues style and branding. Drastically reduce your advertising spend by marketing to your customers via this total communication solution. 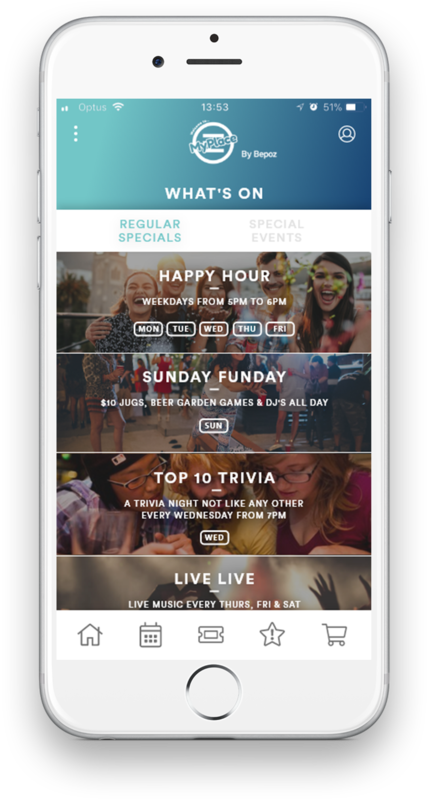 Give your customer’s a hub of information with everything they want to know about what’s happening at your venue, in the palm of their hand. About Us, Operating Hours, Menu, Directions, Contact Details. For a full featured MyPlace demo make an enquiry today. Yes I’d definitely love more information. For further information about our customer loyalty platform, please do not hesitate to get in touch. We will be happy to answer your questions and provide all the information you need to make an informed decision. Pick up the phone and call us today on 1300 023 769 to speak with one of our team and discover the power and simplicity of Bepoz POS loyalty software for yourself. Alternatively, use our online contact form and we will get back to you as soon as we can.